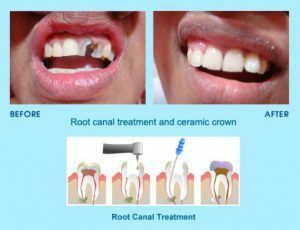 Root Canal Treatment in Islamabad, Pakistan is completely safe and painless for both genders, women, and men. That’s the reason it’s the most recommended tooth treatment by the dentists. There is a rumor that root canal treatment is painful but in reality, it’s not. Thanks to the local anesthesia that makes the procedure comfortable and painless. Root canal treatment is also known as endodontic treatment. Cleaning the interior of your tooth. 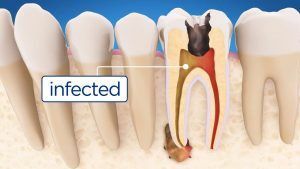 Reducing the pain caused by your infected tooth or teeth. Closing or sealing off your treated oral region. 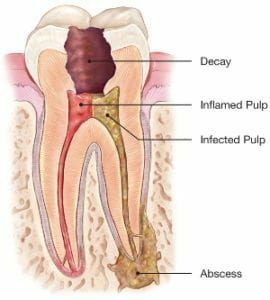 Treating your deceased or infected dental pulp. If you are suffering from the gum disease. If you have a broken tooth or teeth due to fracture etc. If you have an infected tooth. If you have undergone multiple dental filling procedures in the past. If you are suffering from pain, swelling, and discomfort with inflammation. The dentist will first examine your teeth by taking X-ray and some other tests. 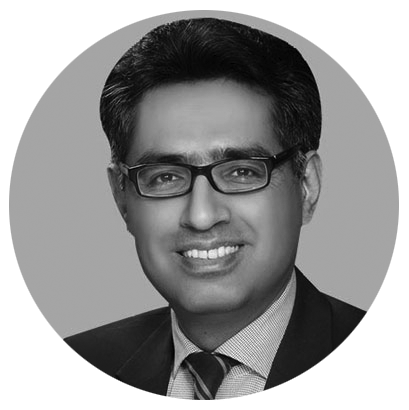 After taking tests, he would recommend you to get Root canal treatment in Islamabad, Rawalpindi & Pakistan. Step 1: first of all the dentist will administer local anesthesia. Step 2: then he will place a dental dam. Step 3: the dentist will drill a hole inside your tooth. Step 4: then he will remove the dead tooth pulp. Step 5: the dentist will disinfect the canals of your tooth. Step 6: afterward, he will shape the canals of your tooth. Step 7: then the dentist will fill your root canals with gutta-percha. Step 8: he will also fill remaining holes. Step 9: the dentist will recommend you to take antibiotic medications. Step 10: in the end, he will protect the top of your tooth with the filling or a crown. The healing time period of root canal treatment is short. You will feel pain for a couple of days but you will be relieved from it by the intake of prescribed medications. 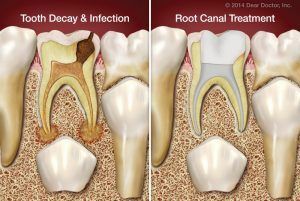 After getting the Root canal treatment in Islamabad, Pakistan your tooth infection will be cured. You have to visit the dentist 2 to 3 times to complete the root canal procedure. The procedure takes less than an hour. 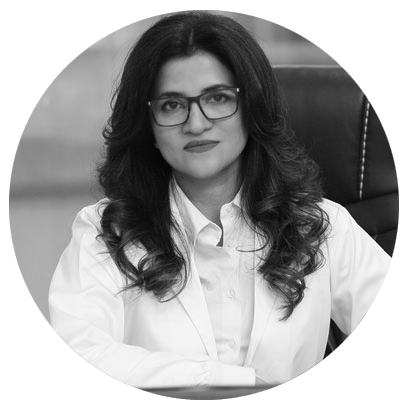 If you are suffering from tooth decay or cavity problem and want permanent to relieve from it, then feel free to consult the SKN Dentistry Islamabad to consider Root canal treatment in Islamabad, Rawalpindi & Pakistan.